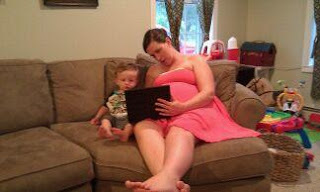 The Bubblehead Bride: Raising a Reader! I have always loved to read! Even as a child I remember having a love for books (and subsequently, writing my name in permanent marker inside all of my books). As a parent myself, I have tried hard to instill a love of reading in Preston. I remember buying him "How The Grinch Stole Christmas" when he was probably 2 weeks old, because really, what newborn doesnt need to hear about the Who's down in Whoville?!? Now at the age of (almost) 2, he has his own favorites and loves to keep books in his crib to look at while he falls asleep. Most of them include animals, marine life, or pirates. He is a boy after all. 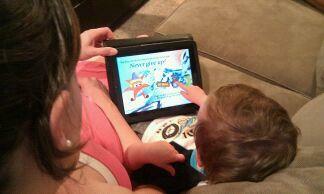 So, when I was given the opportunity to review a children's book, I was absolutely thrilled! HUGO is a little starfish with a BIG HEART. He has a passion is to make others happy but he still has many things to learn. Fortunately he has more than just a big heart, he also has a CURIOUS MIND. Believing that happiness can be learned, feelings can be understood, and that building character based on a positive attitude leads to a happy, content, successful and confident human being, Suzy Liebermann has written this charming series of children’s books to help educate children about their feelings, their attitudes, their choices, and the consequences that follow. I downloaded Hugo the Happy Starfish - One Step at a Time onto my Kindle Fire and fell absolutely in love! This story centers around Hugo after he finds an empty candy wrapper with a picture of a huge chocolate mountain. Hugo discovers that his chocolate mountain is in fact a real mountain, which is called the Matterhorn and is located in Switzerland. 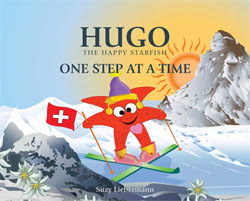 He decides to set off on a journey to find this mountain – a huge challenge for a little starfish! Hugo learns to take one step at a time and to enjoy the journey as much as the destination. Join Hugo as he finds the secret of perseverance when the road gets difficult. While the theme of the book is admittedly a little mature for Preston, I loved that it set forth a positive message of not only perseverance, but it was also educational and sets a tone of adventure. Preston loved the bright colors of the illustrations and we had fun pointing out the different ocean creatures and sites that Hugo saw during his trip to Switzerland. Another thing that I loved (and will utilize when P gets a little older) are the free worksheets, games, and coloring pages that are available for download through the Hugo website (link). In addition to this book, other Hugo books revolve around important themes such as self-esteem, bullying, and sharing, which I plan to get for Preston! Maybe my favorite BHB post! Love the pics of you and P reading together:-) YAY FOR BOOKS!